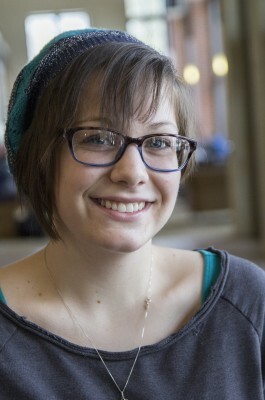 Madison Chicoine ’16 will spend a year in Thailand teaching English on a Fulbright English Teaching Assistant fellowship. She becomes the 12th Cornellian in the past 11 years awarded a Fulbright. Chicoine, an elementary education major with an art endorsement, has played in Cornell’s orchestra, wind ensemble, and Pandemonium steel drum band, and has worked for the music department and financial aid office. “My advisor, Jill Heinrich, was always very supportive in helping me figure out whatever goal I had set out to achieve. However, all of the professors in the education department were such good role models and inspiration for the kind of teacher that I want to one day be. Also, Laura Farmer in the writing studio was instrumental in helping me with the actual application,” Chicoine said. She will use her degree to teach at a primary or secondary school.